Gill Smith founded the Gooseberry Bush Day Nursery on September 23rd 1991 in a room at Camborne School and Community College and was registered for 22 children aged 0-5 years old. Two years later we expanded and were registered for 50 children. Today we have 143 children and 31 members of staff. 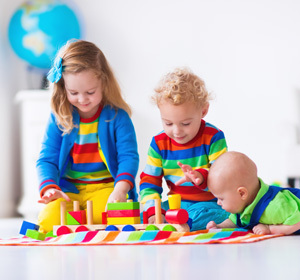 We offer a high standard of care in each of the six rooms, which are staffed by Early Years practitioners, qualified nursery nurses, and other carers who are working towards their NQV level II and level III in Childcare and Education. In 1998 the school was full to capacity and needed the rooms the nursery occupied, so we had to look for a new home. After many enquiries and much work we received funding from N.R.F, S.R.B, D.F.E.S & Neighbourhood Nursery Initiative to build a new purpose built nursery on the site of Rosemellin Community Primary School.